Designed to effectively deliver the extensive benefits of Dehydroepiandrosterone (DHEA), one of the most important hormones found circulating within the body. DHEA (dehydroepiandrosterone) is the most abundant internally produced steroid hormone in the human body. 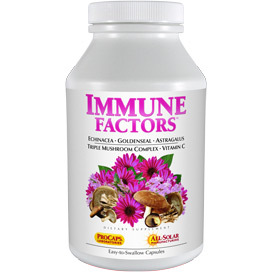 It is primarily produced by the adrenal glands and circulates throughout the body where its most important role is to be converted into our most vital hormones that regulate and affect virtually all metabolic and biochemical processes. 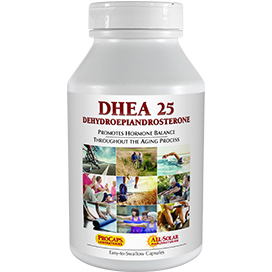 Our DHEA 25 is designed to support healthy DHEA levels that decline with age and other factors. 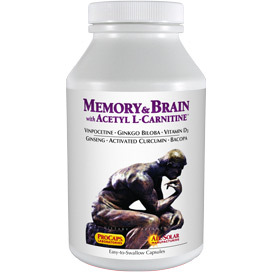 It is only intended for use following the testing and recommendation for supplementation by your health care professional. DHEA is among the most critical and important hormones found circulating in the body, but its levels begin to decline following our mid-20s. It is hard to overstate the importance of DHEA, since it affects virtually all our body’s organs, systems and metabolic functions. DHEA plays a vital, central role in hormone synthesis, balance and metabolism. 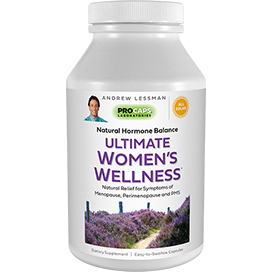 Given its role in hormone balance and endocrine function, it should only be utilized with great care and exclusively based upon a test by your health care provider revealing insufficiency. There are currently a growing number of physicians who believe that some aspects of the aging process may relate to prematurely reduced levels of DHEA. It is for that reason that so many physicians now test and monitor their patients’ DHEA levels. 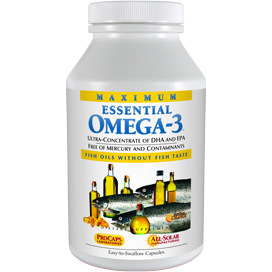 When DHEA levels warrant external support, DHEA supplementation has been observed to support a healthy aging process. Again, DHEA supplementation should only be undertaken following a test and thereafter under the supervision of your physician or health care provider. DHEA is an internally produced hormone and is only intended for use following the testing, recommendation and guidance of a health care professional. Consume one capsule daily pursuant to the instructions of your health care provider. Do not consume more than the recommended dosage. WARNING Not for use by those under 30 years of age. Do not use if pregnant or nursing. Do not use if currently taking hormone-related drugs or therapy. Exclusively intended for use by those following testing and recommendation from a qualified health care professional and who will remain under the supervision of that health care professional. Never exceed the recommended daily serving size. Keep out of the reach of children. COMPETITIVE ATHLETE CAUTION DHEA is classified as a prohibited substance by many sports organizations, including the World Anti-Doping Association (WADA). Before use, please consult your health care provider and the rules of your specific athletic association to determine if DHEA is permitted. PLEASE TEST FOR DEFICIENCY, BEFOREHAND. 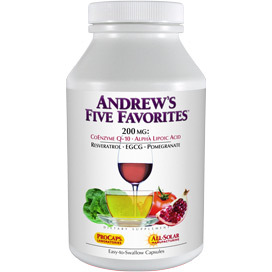 I have been deficient for 20 years (now 58) and have tried several products--very few exist. They had either no effect or caused side effects. 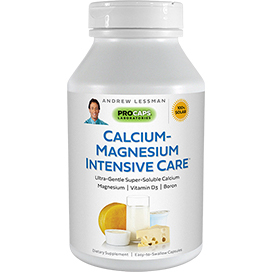 I have tried this product for 6 weeks with no side effects-yeah! I'm also glad that it's a 25mg dose as most are 10mg. I will update with results after my next blood test. It is worth mentioning with this brand of DHEA despite a significant lowering of my blood DHEA levels from 261mcg/dL to 133 mcg/dL within four weeks, I did notice a significant reduction in inflammation and stress which is very nice for those of us with chronic diseases. It seemed my vigor and tenacity was also improved and possibly my focus and mental acuity. However my libido certainly dropped while using this brand and my blood levels trending downward again is very concerning as someone with adrenal fatigue. I'm really not sure what to make of this product overall as I experience quite a few benefits that are well worth it but on the other hand very low libido and declining DHEA S levels is concerning to say the least, not to mention the intestinal disturbances I experience as well.